(On the map, take the 'View on Google Maps' option and then enter the property name and address into the search facility). 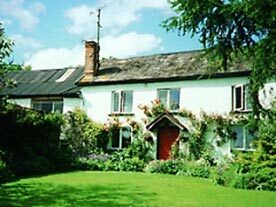 Vale House Farm House is a gloriously peaceful mid-19th Century farmhouse situated in Brockenhurst, a delightful village close to the centre of the New Forest. 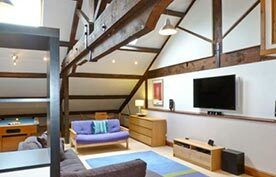 Situated close to the open Forest, the farmhouse has many oak beams and an inglenook fireplace. Easy access is available to a wide variety of walks and cycle rides, whilst village centre amenities are nearby. 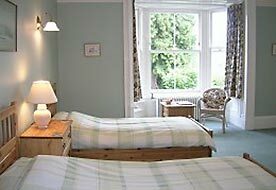 All rooms have tea and coffee making facilities, televisions, hairdryers and central heating. All are furnished to an impressively high standard. Full 'English' breakfasts are provided, or something lighter if you wish. 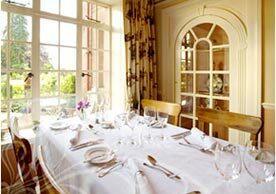 Afternoon teas and evening meals are also available by arrangement. One family suite of two interconnecting en-suite rooms to sleep up to six - this is ideal for families with young children. One further double bedroom with en-suite. 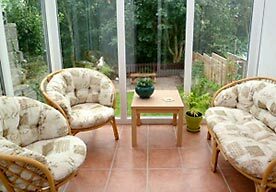 Guests can relax in a comfortable lounge and in a large conservatory. The lounge has a large flat screen TV, and there is a wide range of guide books, walks books, cycle route maps and other material about the New Forest and surrounding area. Cycle hire facilities are available in Brockenhurst, we are conveniently located for those arriving by bus or train, and the New Forest Tour Bus passes nearby.